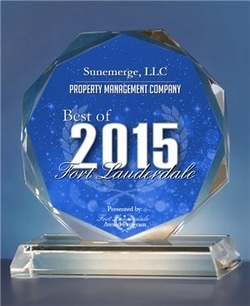 SunEmerge has received the Best of Fort Lauderdale 2015 Award! SunEmerge, LLC was has been selected for the 2015 Best of Fort Lauderdale Awards for Property Management Company. We would like to take this opportunity to thank our clients. This award would not be possible without your business.